I like fun. Anything that makes me smile heads quickly to the top of my day’s highlight reel. Especially if it is a gift. When I woke up this morning to a new comic from The Oatmeal about jogging and how a sugary drink can be compared to the souls of ten thousand baby pandas, I was gifted a laugh-out-loud – a great way to start the day. There was no product in it, no service, no sale sought. The comic’s creator Matthew Inman posts and shares his content for free. Yes, he sells posters and books, but the comic, the content, is a gift. Not to showcase The Oatmeal Global Enterprises Inc, but to provide value content that’s not part of a wider marketing push. 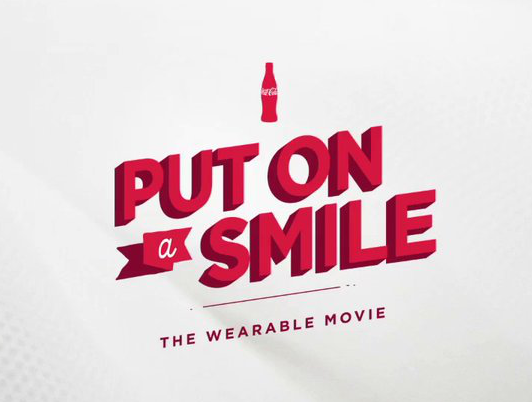 And this, I think, is where Coke misses the mark with Wearable Movie – it is a campaign, not a gift. The creative is, true to Coke’s past campaigns, engaging and captivating, but it’s not a gift – it has one specific purpose: sell Coke. This isn’t a bad thing, but by now utilising the concept of ‘viral content’ shouldn’t still be focused solely on selling, it should be about gifting. ‘Gifting’ does lead to results – it is about subtlety. Pretty much every piece of Movember content is testament to this. It is free content about the joys of the moustache and about men’s health. The content itself doesn’t say, “Give us money!”, it says, “This is cool information related to why we’re here”. Consumers are always going to buy Coke, so gifting them something with no strings is only going to help soften their perception of Coke as a big conglomerate. Sure, a group of Coke employees and fans get t-shirts to star in a film, but the gift isn’t the t-shirts or the movie – it’s the fact that the content is ‘brand free’. You don’t leave a price tag on a gift so the receiver knows where it came from – they’ll take that next step based on the joy the gift brings them.